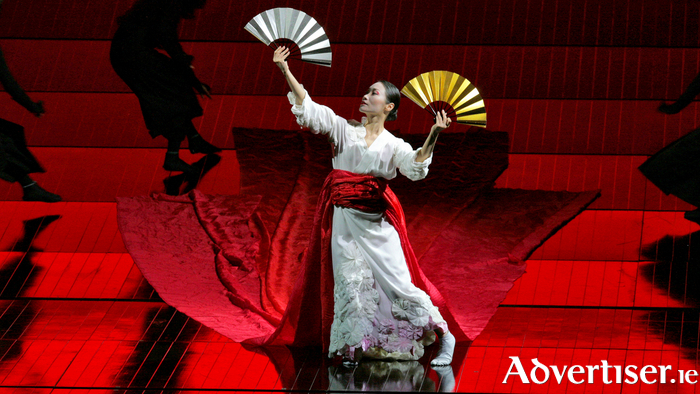 PUCCINI'S MADAM Butterfly will be performed in New York's Metropolitan Opera and broadcast live to The Eye Cinema, Wellpark, this Saturday at 6pm. Soprano Kristine Opolais is in the title role in this production by Anthony Minghella, which also features tenor Roberto Alagna as Pinkerton, the naval officer who breaks Butterfly’s heart. Karel Mark Chichon conducts. To book contact www.eyecinema.ie or 091 - 780078. Early arrival and booking is very strongly advised.